In 2016, 44.7 million tons of e-waste were generated, of which only 20% were collected, in average, worldwide (UNU/ITU/ISWA, 2017). The Partnership for Action on Computing Equipment (PACE) and the Mobile Phone Partnership (MMPI) have developed guidance documents to help Parties to the Basel Convention and other stakeholders to put in place solutions, which can provide opportunities for the Environmentally Sound Management (ESM) of e-waste. 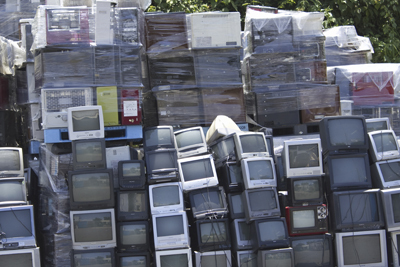 Since 2012, the Basel Convention Secretariat and the International Telecommunication Union (ITU) have been cooperating to foster solutions for the ESM of e-waste. Among other things, the Secretariat has been contributing to the development of standards and policy recommendations that the ITU develops to support e-waste management towards a circular economy. The present workshop, to be held on 23rd March 2018 in Geneva, will aim at introducing the standards and policy guidance available, and will provide Parties to the Basel Convention as well as Information, Communications, and Technology (ICT) companies with an opportunity for sharing their experiences as to their implementation.